The DEWALT DWA2SLS24C MAX FIT Screwdriving Bits are made of shock-resistant steel, and feature a precision-milled top for ideal fit in screw heads. MAX FIT Bits and the Magnetic Screw Lock System are designed for use in drill/drivers and impact drivers. Features modified steel construction for enhanced durability. The bits feature a precision-machined tip that snugly fits screw recesses resulting in less stripped screws. The DeWalt DWA2509-6IR 6-in RAPID LOAD Spade Bit Extender with Screw Lock takes the hassle out of reaching and drilling holes in wall studs and ceiling joists. The 6-in. extender is built impact tough, and features a quick release rapid load adapter that fits all 1/4-in. hex shank spade, drill, and driver bits. 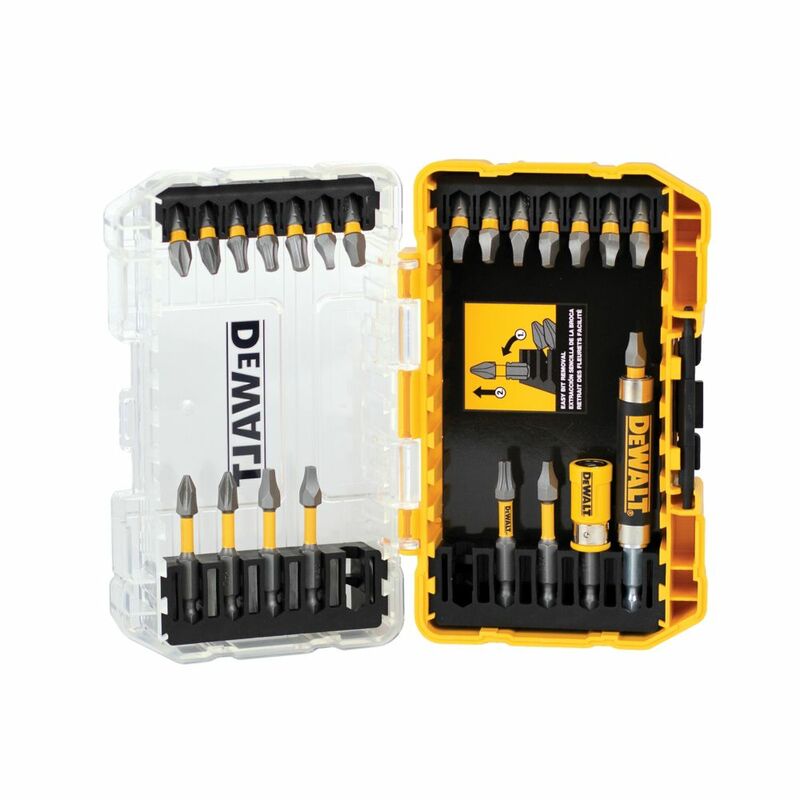 MAX FIT Screwdriving Set (24-Piece) The DEWALT DWA2SLS24C MAX FIT Screwdriving Bits are made of shock-resistant steel, and feature a precision-milled top for ideal fit in screw heads. MAX FIT Bits and the Magnetic Screw Lock System are designed for use in drill/drivers and impact drivers. Features modified steel construction for enhanced durability. The bits feature a precision-machined tip that snugly fits screw recesses resulting in less stripped screws. MAX FIT Screwdriving Set (24-Piece) is rated 5.0 out of 5 by 1.